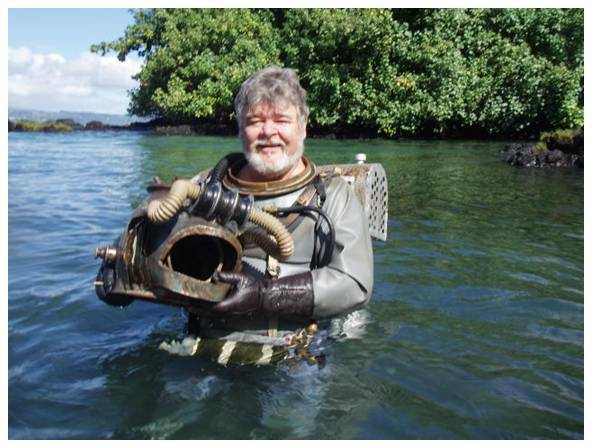 A little info about the VSC Underwater Technologies Department. I’m just a “Bay Area Boy” who grew up in that culture where guys worked in their own garage to build their own street machines. I started-out wrenching on bicycles and skateboards as a kid, and got into “grown-up” mechanical projects in my teens during the late-1960’s. 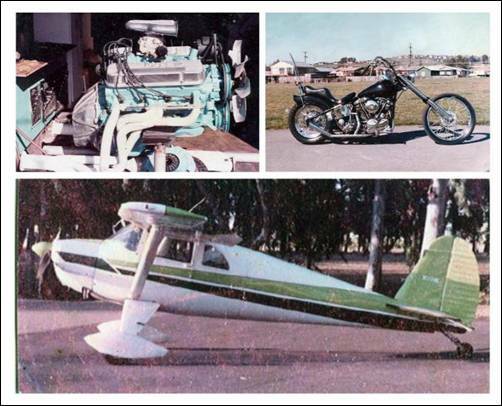 I’ve done custom work on cars, trucks, boats, motorcycles, airplanes: all the standard “California Toys” back in the day. But actually, you won’t find pages about any of that on the VSC Website: I’m just letting you know what my skills were before I focused on underwater technologies. You don’t have to be a certificated engineer to build a submarine; but it’s not easy, either. When I got serious about it in the mid-1980’s, I was already an experienced design technologist and custom fabricator. I had a formal education plus about twenty years working in the automobile and general aviation industries. Even so, building a submarine turned out to be an ongoing process of additional research and development. In the beginning, I started experimenting with life support, ballast, and propulsion systems: improvising simple “proof of concept” devices from common household items, and testing them underwater in our swimming pool. 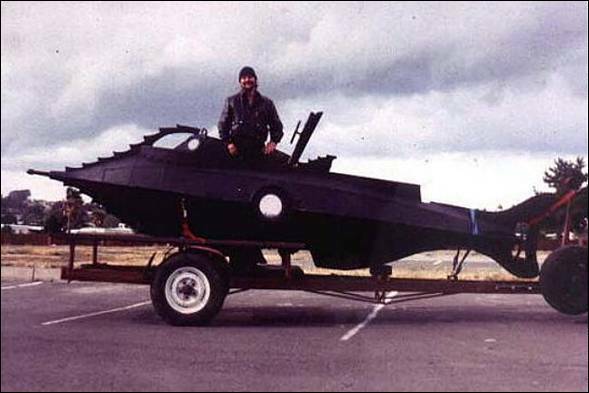 It was very much a process where “one thing led to the next” as I taught myself how to design and build a submarine. 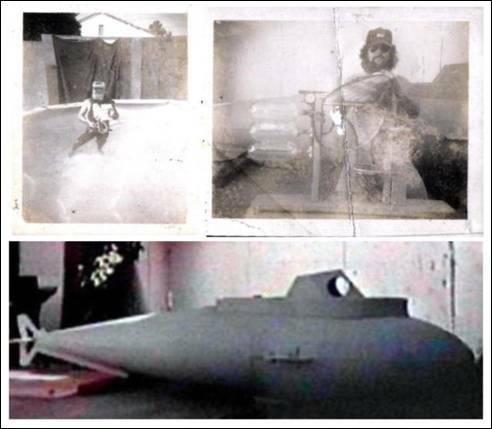 On the Early Underwater Tech Projects page you'll find mid-1980’s experiments like my first homemade re-breathers and Air Independent Propulsion systems for submersibles: part of the “self-education process” that led up to my first submarine project, the HYPERSUB. My next project (launched in March 1991) was the NAUTILUS MINISUB: World’s first Disney Nautilus submarine in any scale. 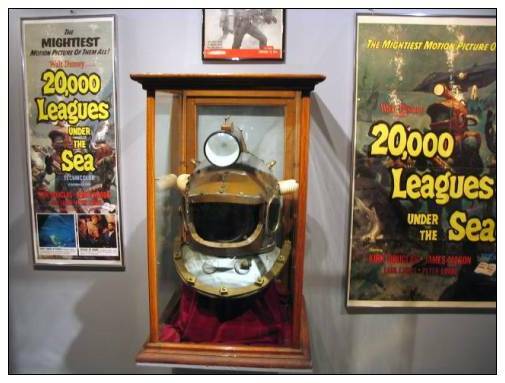 In 2002, I experimented with adapting SCUBA systems for use with hard-hat diving rigs; and in January 2003, we launched the NEMOSUIT: World’s first functional replica of the Disney 20,000 Leagues diving apparatus. Because it’s been a “manageable hobby” (one I could pursue along with life’s more-important priorities) I’ve built a few other things since then, too. Some of my functional replicas are in museums, books, and private collections. 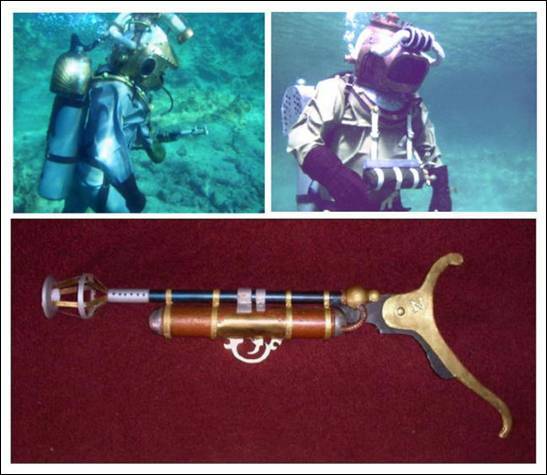 I’ve also built functional replicas of the Nautilus Crew Diving Suits and Underwater Rifles from 20,000 Leagues Under the Sea. 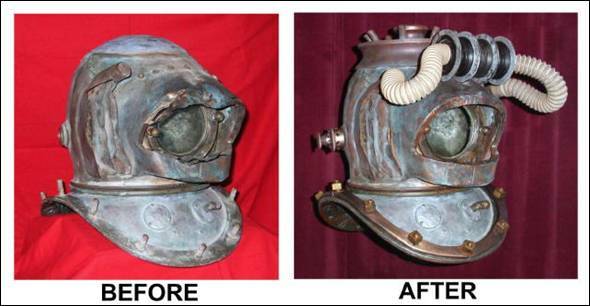 In 2008, I restored an authentic Disney Crowntop Diver helmet that had been used in the production of 20,000 Leagues Under the Sea, and then dived it in the ocean off the coast of Hawaii. 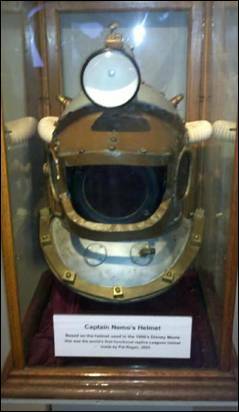 This event marked the first time that any of the Disney helmets had been returned to service in the fifty-four years since the movie made its debut in 1954. 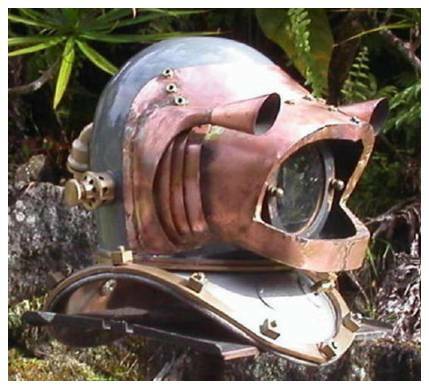 And in 2009, I completed our inventory of functional replica 20,000 Leagues diving rigs by building the last variant of the Crew Diver helmets: commonly known as “The Baldy”. These projects already (or will soon) have pages in the VULCANIA SUBMARINE UNDERWATER TECHNOLOGIES Department here at VSC. To access them in order, begin by clicking NEXT, below. Or, for individual projects, click HOME and surf our Index Page.